Our low cost Cafe Chairs & Office Cafe breakout chairs are ideally suited for canteen, restaurant and informal meeting areas. Adapt High Stool With Chrome FrameA versatile range suitable for any purpose. High level office working, hot desks or café environments, this aptly named range can adapt to suit your needs. Available in a variety of colours and frames, this.. 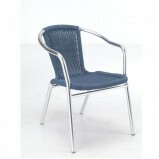 Adapt Chair With Chrome Skid FrameA versatile range suitable for any purpose. High level office working, hot desks or café environments, this aptly named range can adapt to suit your needs. Available in a variety of colours and frames, this..
Chester Side Chair with Castors With 3 contrasting leg designs to choose from Chester is a range of seating which can complement any cafe or dining area. 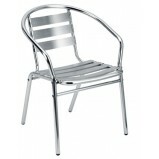 These chairs feature a sculpted polypropylene shell which is available in 5 s..
Chester Chrome Wire Leg Side Chair With 3 contrasting leg designs to choose from Chester is a range of seating which can complement any cafe or dining area. 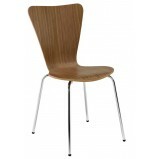 These chairs feature a sculpted polypropylene shell which is available in ..
Chester Wood Leg Side Chair With 3 contrasting leg designs to choose from Chester is a range of seating which can complement any cafe or dining area. 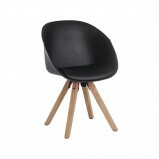 These chairs feature a sculpted polypropylene shell which is available in 5 styli.. Chic Breakout Office Chair Modern upholstered breakout chair with stylish bright chrome fixed legs and a soft "brushed" fabric. 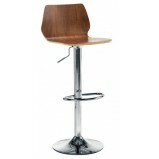 Add style to any home or office spaceFeaturesBoxed and sold in 2's Options Available in..
Milan Bar Stool With Chrome Skid FrameThis high bar stool is a perfect complement for poseur height tables popular in the modern workplaceBlack PU faux leather Chrome Skid Base Options Available in other fabri..
Wood Veneer Shell Chrome Legs Minimum Quantity 4 Options Available in Beech or Walnut finish ..
Picnic Bench Style SeatsThese benches and matching tables are perfect for the social environment. They have 36mm tops and a steel knock down frame ensuring these products are perfect for collaboration, social working and relaxed meeting spa..
Plaza Indoor Outdoor FurnitureOur Plaza range is suitable for use both indoors/outdoors and constructed from a durable aluminium frame. With the option of a wicker seat and aluminium table this range is perfect for those warm summer daysFea..
Pyramid Padded Tub Office Chair A Modern tub visitors chair with a curved PP flexishell. It has Matching upholstered seat for comfort and "Squared off" oak wooden legs . A great addition to any home or office space FeaturesBox..
Reef Bistro Stacking Chair A fully welded steel frame and waterfall seat makes the Reef collection robust, comfortable and stylish. 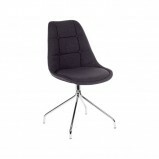 Available in a range of matt colours and high gloss white finishes, these chairs look fantastic wit..
Stork Gas Lift StoolA height adjustable, high bar stool with a selection of finishes to choose from. The Stork range provides a warm, contemporary look that perfectly matches our Astral table FeaturesWood Veneer Shell Chrome Base ..